"State of Osun" – Innovation in government appointments? 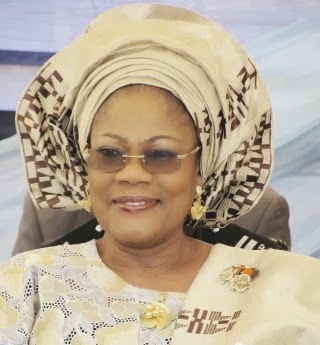 Osun State has her commissioner of education also double as deputy governor. What’s your take on this? Yay or Nay? Why? Let’s discuss. Festus Iyayi – Whodunit…ASUU or Wada? Prof. Festus Iyayi, born 66 years ago in Ugbegun, Edo state, died from wounds sustained after a vehicle accident involving a bus he was traveling in and the convoy of Governor Idris Wada of Kogi state on November 12, 2013. Recall that Governor Wada was involved in a similar fatal accident last December, which claimed the life of his ADC. While several fatalities happen everyday on Nigerian roads, the Nigerian literary, intellectual and social justice community will forever mourn Prof. Iyayi. For those who don’t know the late Prof. and what he stood and will be remembered for, lets hear Femi Falana (SAN) say a few words on this and the continuing implication for the state of road traffic law enforcement in Nigeria amongst other related issues. 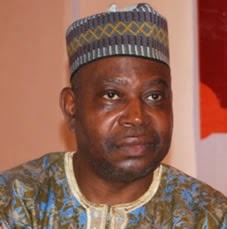 From reports, which have been confirmed, Prof Festus Iyayi was killed by Gov Wada’s convoy around Lokoja yesterday. He was travelling to Kano from Benin for the NEC meeting of ASUU to review the varsity strike in view of the offer belatedly made by President Goodluck Jonathan last week. The ASUU welfare officer who was in the same car with Comrade Iyayi was seriously injured and is said be on danger list at the Federal medical centre, Lokoja. I cry for Nigeria, but certainly not for Festus who would have wanted us to mobilize instead of mourning him. Like all progressive lecturers Festus believed in the total liberation of the people. He dedicated his entire life to the struggle for an egalitarian society. His award winning novels like VIOLENCE and HEROES confirmed his unalloyed commitment to the reconstruction of Nigeria on the platform of justice and fair play. Festus was the ASUU national president when he was illegally sacked the university of Benin in 1987. As the removal could not be justified in law the discredited dictator, General Ibrahim Babangida claimed that he had sacked Festus and other radical lecturers including Professor Itsejuwa Sagay “in the public interest” under the obnoxious Decree No 17 of 1984. Festus and his colleagues rejected the pressures mounted on them to abandon the struggle. Instead of compromise they demanded for justice. The Late Alao Aka-Bashorun and I were instructed to challenge their illegal removal in court. We did and won from the High Court to the Supreme Court. It was on the basis of such legal victory that they were reinstated in 1993. Under his Presidency of the Committee for the Defense of Human Rights (CDHR) from 1994-1995 the human rights body was in the forefront of the struggle against military dictatorship in Nigeria. Festus has consistently fought on the side of the marginalized masses. His death is a painful loss for his family and all our comrades. However, we must quickly recover from our shock and stop our lamentation by addressing relevant questions to save the lives of other road users including ourselves. Governor Wada was involved in a similar ghastly accident last year. His ADC was killed while the governor was seriously injured. Why has the FRSC exempted governors from the speed limit of 100 kilometres per hour? Why are official drivers allowed by law enforcement agencies to engage in reckless driving in defiance of traffic laws? Up to the early 1980s we used to travel to from the south to the north and vice versa for meetings by train. If the train service had not collapsed Festus would have travelled to Kano by train and not by road. If the FG had honored the 2009 FG/ASUU agreement ASUU would not have embarked on the ongoing industrial action. If the FG had made concrete offer to ASUU before now the strike would not have lasted 5 months. Gov Wada should bear responsibility for the tragic road accident that claimed the precious life of Professor Iyayi. The FRSC should henceforth monitor Gov Wada’s movements to prevent him from killing more people on our bad roads. The speed limit imposed on all drivers should apply to all citizens alike. In particular drivers of governors who commit traffic offences must be brought to book. In this case, Gov Wada is vicariously liable for the criminal negligence of his driver who killed Festus and wounded the ASUU welfare officer who is now on danger list in the hospital. The Kogi state government should be made to pay huge compensation to the injured welfare officer of ASUU and the family of Professor Iyayi. Gov Wada’s drivers who killed his ADC last year and Professor Iyayi yesterday should be arrested and prosecuted for manslaughter. Unlike their boss they are not immune from prosecution for criminal offences!